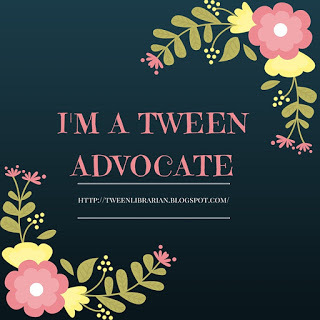 GreenBeanTeenQueen: YALSA Blogger's Summit-I'm Speaking!! Will you be attending ALA Annual in Chicago this year? If so, check out the YALSA Blogger's Summit Preconference happening Friday afternoon from 12:30-4:00. A must-attend event for YA lit bloggers! Take your blog to the next level by participating in a discussion of the state of YA lit and networking with bloggers, reviewers, publishers and authors. Topics such as leadership, marketing, tech help, review writing, ethics and copyright will be covered. You’ll leave with new contacts in blogging and publishing and a clear vision for how to make a positive mark in the vibrant world of YA lit. Authors participating include: Holly Black, Sarah Dessen, Laurie Halse Anderson, and Gene Luen Yang. I don't know how I got added to such a cool list of people, but I'll be there speaking about blogging as well! I'll be joining by the awesome Gretchen and Emily to talk about blogging and being a librarian and how it all works together. So if you're at ALA, join us and say hi! We'd love to see you there! I'm registered for the event! I will try and say hi!